Love that extra crunch in your dessert? Trying to eat healthy even on a cheat day? Then we have some great news! Provided by Washington Apple Commission & California Walnut Commission, get your dose of fruits and nuts in one go at LBB’s Dessert Bazaar. Their innovative cake creations have us drooling for more, and that’s why we can rely on them to make mouthwatering gooey brownies with the goodness of California walnuts, that’ll keep us haunting their stall for more. Bliss Bakery’s gateau basque with caramelised Washington apples has that delightful buttery crust with smooth, creamy filling inside. Take it a notch higher for your tastebuds, and try their walnut fudge brownie that has a molten centre. Made with Callebaut Couverture chocolate and topped California Walnuts, this brownie is a mouthful of heaven. Not a chocolate person? Try their crunchy combination of walnuts with vanilla-scented sticky caramel on a buttery tart base. A blend of Taiwanese and Indian crafted into one sweet package, you have to try their California Walnuts and Washington Apples creations to experience the rich taste and unique texture. Blending techniques from both cultures, every bite is a sinful yet healthy indulgence. We’re big fans of this bakery, known for their variety of decadent offerings across confectionary goodies. Their mini walnuts and apple tarts have that perfect kick of soft, balanced flavours on a pastry crust, so you won’t be able to resist eating two at a time. 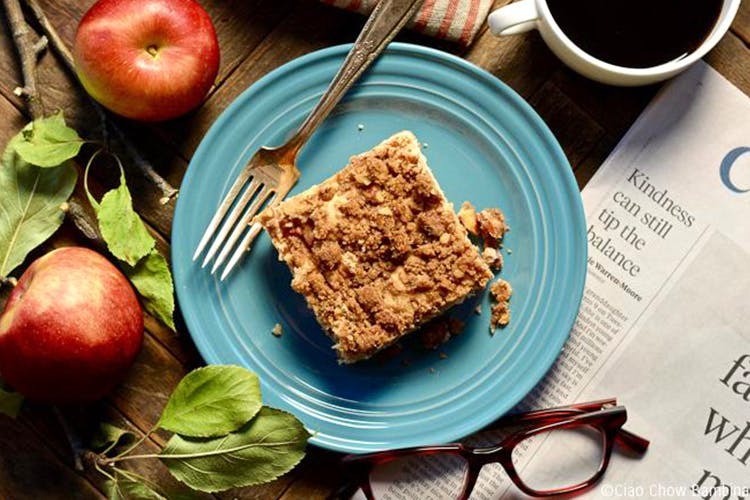 With desserts that never disappoint, try her range of muffins, granola and cake – loaded with California Walnuts and Washington Apples that make both the tastebuds and tummy happy. Yay! With cookies, cakes and cake pops on offer, Red Moon Bakery makes us feel like children in a candy shop. Their scrumptious apple cake is both moist and dense, perfect for a sunny Saturday treat! Follow Washington Apples and California Walnuts on Facebook here and here. This story is in partnership with Washington Apple Commission and California Walnut Commission.